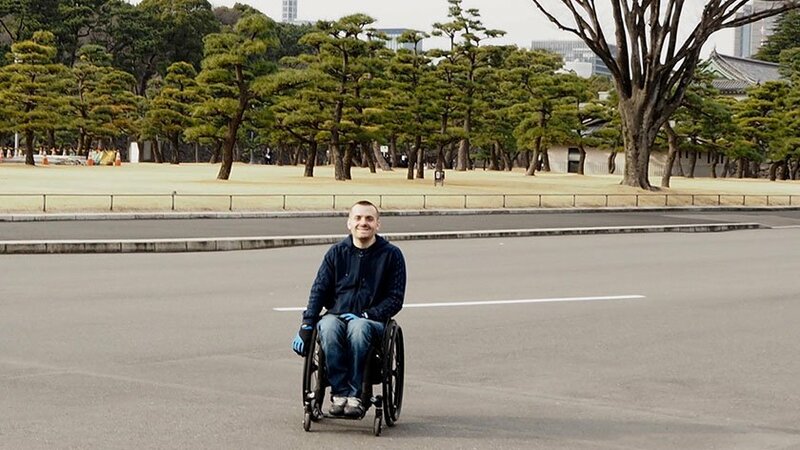 My name is Andy Barrow and I’m an international speaker who also happens to be a full-time wheelchair user. I’ve spent over half my life in a chair after sustaining a spinal cord injury during a rugby game in 1997 that left me paralysed from the chest down with limited use of my hands. My Wheelchair Rugby career took me around the world and I definitely picked up a penchant for travel as a result of this. I resolved to re-visit many of the places that I’d played in, but this time, taking in more than just an airport, sports hall and hotel. The area that always fascinated me most was Asia. I think this is because it’s just about as different, culturally, from my home in London. I’ve visited a fair few places in South East Asia, but I’d never quite managed to get to Japan until last year when I was lucky enough to go twice, in March and October. At this point, it’s worth saying that for the vast majority of my travels, I’m accompanied. I use a small, manual wheelchair, which means that I can easily get bumped up or down single steps. I’m also comfortable enlisting total strangers to lift me in and out of places in my chair. I’m fairly active and my previous career means that I’m in decent shape to get myself around most of the time. The reason I mention this is that it gives you a point of reference to compare your own circumstances to because you obviously know your own needs better than anyone. On arriving at Narita airport for the first time, my wife and I were impressed by how simple it was to find the train terminal and catch the Narita Express to Tokyo. (Narita is a long way out so the equivalent taxi ride would be very expensive!) A porter took the time to accompany us from baggage reclaim to the ticket office where, despite the language barrier, we had no trouble getting the right tickets for our journey. An access ramp was arranged without me needing to ask and there was plenty of room on the train for me to either stay in my wheelchair or transfer into my seat. It takes just under an hour to get to Tokyo’s main station and just a little longer if you rather get off at Shibuya subway station right in the city centre. Tip – Always clarify what number carriage to get on at the airport. On my second trip, we declined the access ramp (it’s a fairly level threshold) only to find that we’d boarded the wrong part of the train, which was due to split and terminate in different destinations. This lead to a mad dash through the carriages mid-journey that would have been impossible without my chair being very slim! From Tokyo main station, a brief taxi ride took us to our Airbnb in Kagurazaka, near Shinjuku. Having a small, manual chair means I can take a regular taxi and the old Toyotas in Tokyo have plenty of boot space for both chair and luggage. Kagurazaka is to the northeast of the city, but still fairly central. It’s quite a trendy area with a slightly European feel. We arrived in a residential part of the district late on Saturday night so it was very quiet on the streets. Accessible accommodation – When size does matter! Floor space is at a premium in Tokyo and our accommodation was no exception. We were on the third floor and the lift was a reasonable size, but larger power chairs or scooters may have struggled. In the apartment, the bedroom didn’t have a huge amount of clearance, but it was fine for me and there was a similarly proportioned open-plan living/dining/kitchen area. I never really care too much about small living/bedroom spaces because when I’m away, I’m not really planning on spending much time in my apartment/hotel. What concerns me more is the bathroom. In Japan, many apartments have extremely compact bathrooms that are often “tanked” (self contained) units. These units have a half-size bathtub with built in shower and will often have a step into it. There is a separate sink area level with the rest of the apartment and it’s the same deal with the toilet. Although what I’ve mentioned above isn’t ideal, it was absolutely my choice. I can just about manage with this set-up, but it’s not easy. What does worry me is that many bathrooms in Japan seem to follow this pattern or have similar size constraints. For example, on our second visit to Tokyo, we stayed in a hotel in Shibuya, which had a standard bathroom set-up but it was TINY! There’s no way you’ll be able to even shut the door after you, let alone get your chair next to the toilet or bathtub! Granted, this wasn’t listed as an “accessible” room, but in most places, a standard room is more than spacious enough for me and I’d rather the fully accessible rooms (roll-in showers, clearance for power chairs etc.) went to those who couldn’t do without them. Also, with only a very limited number of fully accessible rooms available, many disabled people with find themselves “making do” or with very empty wallets after 2019/20. Tip – Make sure you do your research before booking anywhere. Recently, Airbnb has introduced an “accessibility” filter and other travel websites have similar features. 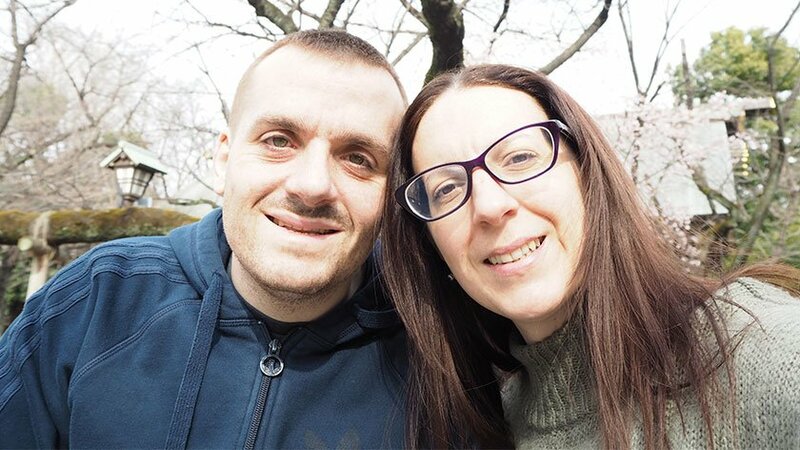 Before going anywhere, we spend a decent amount of time poring over photos to decide whether a place will be suitable and we’ll also contact the hotel or host if we need to. Anyway, on to more interesting things like exploring Tokyo! Full disclosure at this point – Because both of our visits have been work related, we’ve had limited free time available to us and so have never been outside of central Tokyo. We’re aware that there’s so much more to see but hopefully, this will serve as a useful guide to those in a similar position. One of our favourite things to do in a new place is simply to go for a wander and see what we can see. You see so much more at walking pace and street level, and for us, the personal interactions you have along the way are every bit as important as the landmarks. 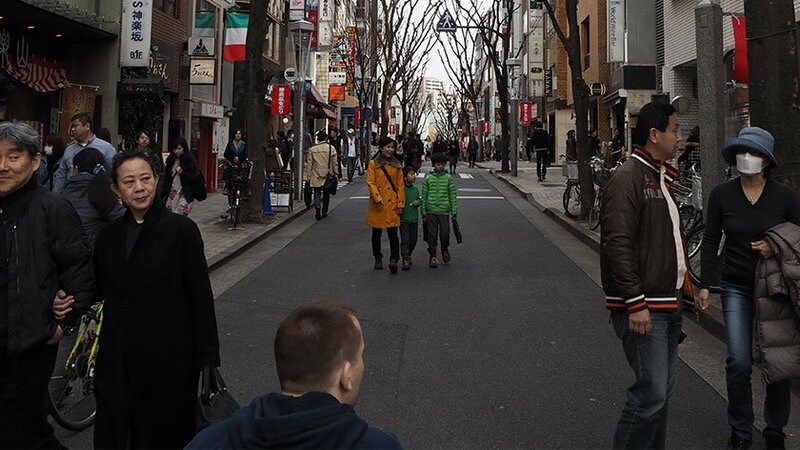 We started with lunch on the main street in Kagurazaka, before loosely heading towards the centre of town and the Imperial Palace. There were a few hills to negotiate, but nothing too drastic and the pavements were generally pretty good aside of the tactile blocks literally everywhere! Joking aside, these blocks originated in Japan in the 1960s and provide an excellent network of pathways for those with visual impairments. I’m more than happy to shake and rattle if it means others can get around independently. It was March so freezing cold, but bone dry and sunny, and as we neared the Imperial Palace, we saw plenty of joggers and cyclists making use of the Sunday road closures. The open-plan nature of this part of the city is reminiscent of Place de Concorde in Paris and the road surfaces are ideal for chairs. The Palace complex itself is amazing and well worth a look. The scale of it all is pretty epic and the gardens surrounding the buildings are absolutely pristine. After leaving the Palace, we continued past the huge government buildings and headed south through the posh shopping district of Ginza. High-end department stores line the wide streets and the sheer amount of neon tells you that this is very much Japan’s take on Oxford Street or 5th Avenue. Everything is fairly shiny and new here so access was generally good in the main areas, as you’d expect. 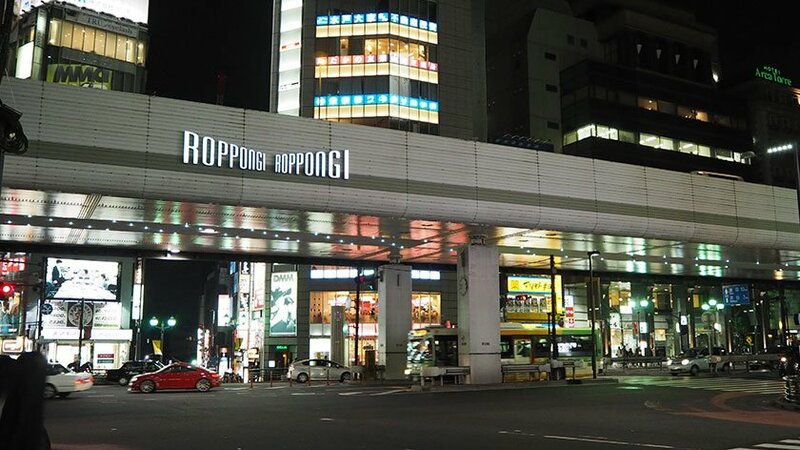 As dusk fell, we headed towards Roppongi where we stopped for dinner and pondered on what to do with our evening. One piece of advice we’d been given about Japan was to “look up” if we wanted to find anything. This is because in a lot of cities in Asia, it’s common to find lots of different shops, bars or restaurants located on different floors within the same building. Therefore, if you don’t “look up”, you’ll be missing out. This practice of stacking outlets one on top of another can present its own access issues. More often than not, space is tight and bathrooms are tricky to get to and not always suitable. Lifts can also be really small, not to mention having stairs up to them in the first place. (Why?) Having said all this, this problem is not exclusive to Japan or even Asia. It can happen in any large city and my advice is to just give it a go, but have a back up plan. Some of these “hidden” places are great fun and there are lots of ground floor establishments too. Anyway, back to our evening and while I still can’t tell you what to do on a night out in Roppongi, I can definitely tell you what not to do. In fairness, the “Geronimo Shot Bar” does exactly what it says on the tin and the staff were all great…. Just don’t expect to make any positive use of the following morning and if you think you’ve lost a Y10,000 note somewhere along the line, I can tell you exactly where it is: behind the bar! In the second part of this post, I’ll be talking about some of the places we visited during our time in Tokyo and sharing my experiences of the subway. I’ll also be looking ahead to 2019/20 when thousands of visitors with all kinds of different needs will descend on Japan! Read Part Two and Part Three!